B. A GOOD song can be used AGAIN and AGAIN. Just change the vocabulary. Head, Shoulders, Knees and Toes can be adjusted to Head, Shoulders, Knees and Fingers….. We have a core of 15 - 20 songs. That we CHANGE the vocabulary to as the students level up. B. 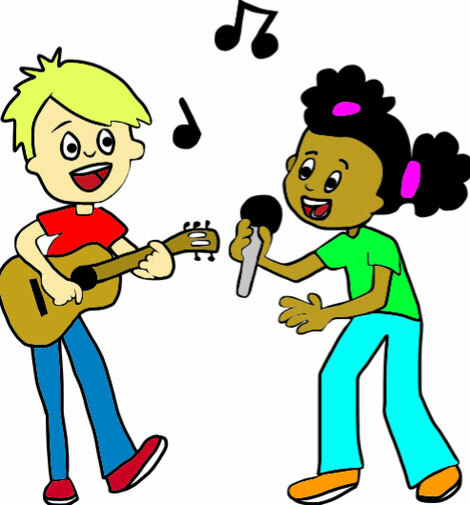 We find that setting high expectations from the beginning—ALL students sing in our lessons and also NOTICING who is NOT singing (and saying to the NON SINGING student—-Maya, let’s sing) is ENOUGH to get everyone singing. Most points are good, but not everyone is a great singer. I REALLY need the CD on, with at least the tune, otherwise my timing/tune etc is going to be abysmal. If you can do it without the CD, that's great, but some people do need it. Even though I use Super Simple Songs and have sung the songs lots of times, I still often can't remember what's coming next and mix parts of the songs up. I still try to adapt the songs a little with new vocabulary if possible. I use CDs too but one of my colleagues opt not to use any because he is a good singer and wants to change the vocabulary most times. The homeroom teachers ask us to use CDs because the kids will get used to the rhythm and tempo. It's interesting about the homeroom teacher though----without a CD, there is also rhythm and tempo. And you can CHANGE the rhythm and tempo---mixing it up for the kids.